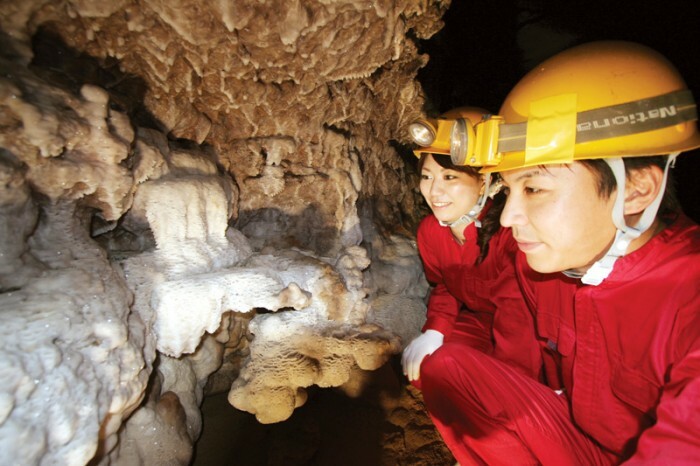 Participants to the Okinawa World Cave Exploration Tours can experience the mystery of the inner parts of the famed Gyokusendo Cave that are normally out of bounds for visitors. Okinawan adventures move underground this month for a bit of spelunking and exploration of a popular cave in the southern region of the island. The exploration tour contains many exciting obstacles along the way. The cave exploration tour is an annual event hosted by Okinawa World in Nanjo City, with the real focus on the third largest cave in Japan drawing plenty of attention. 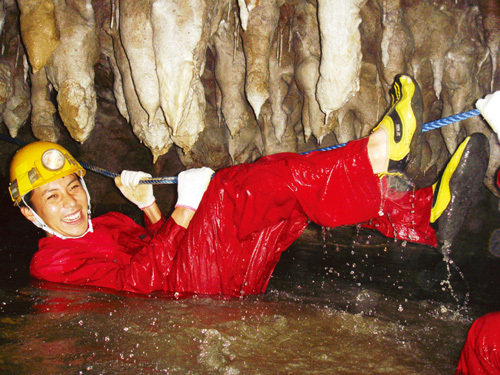 The cave exploration option runs throughout this month at Gyokusendo and Okinawa World. The cave is open year-round, but the excitement during September centers around all the places a visitor can go in the cave that are off limits the rest of the year. Although Gyokusendo provides equipment, participants must bring personal gear such as swim wear, appropriate shoes and plastic bags. 30th. The weekday exploration opportunities start at 10 a.m., while weekend adventures get under way at 10 a.m. and again at 1p.m. Cave exploration sessions are ¥2,000 for the two-hour meandering through the normally inaccessible stretches of Gyokusendo. The minimum age for youngsters to participate is five, but all children ages 10 and under must be accompanied by an adult parent or guardian. Helmets and headlamps are included in the tour fee. Gyokusendo also offers rental garb. Long sleeve shirts and long pants are needed for the cave exploration, as well as swim wear, shoes and plastic bags. Gyokusendo rents exploring wear for ¥1,500. Reservations should be made with Okinawa World at least one day in advance, not later than 5 p.m.